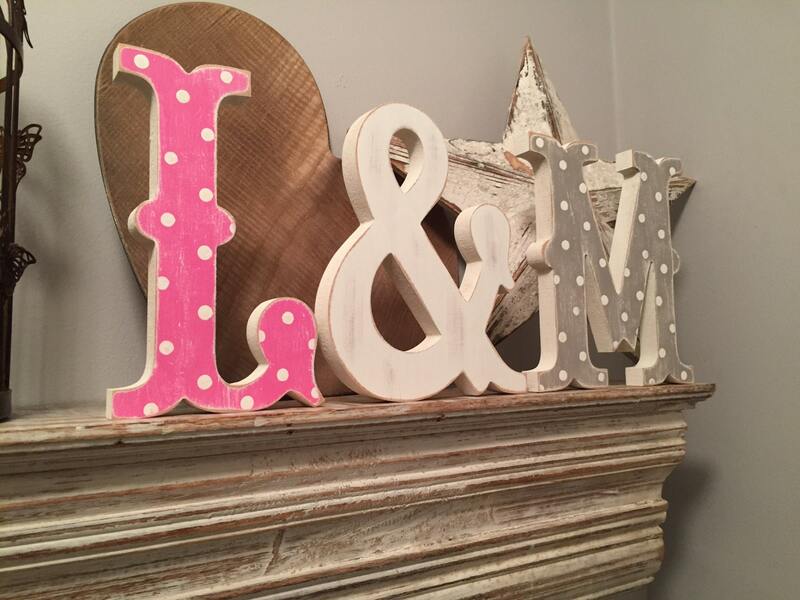 Hand painted decorative letters - Set of 3 letters - available in various finishes. Circus Style Font. 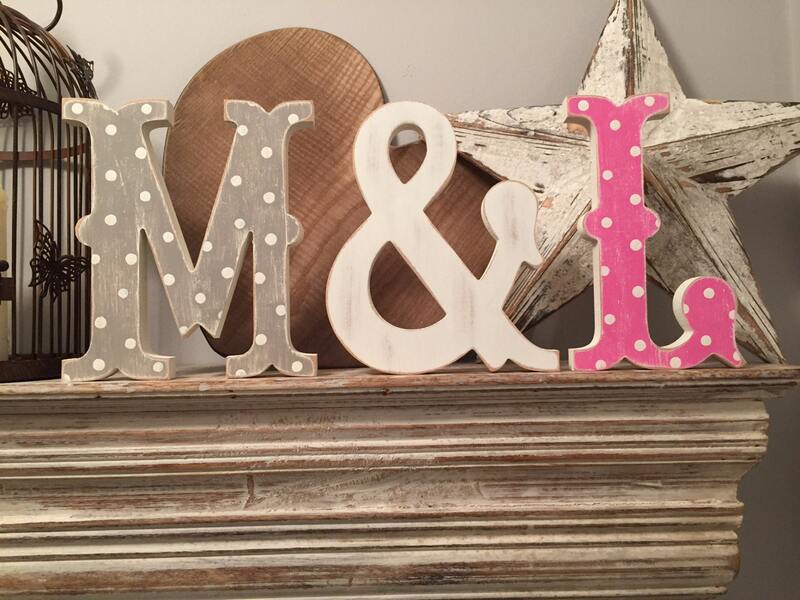 Either your own initials or as a great gift for friends .... maybe a couple who aren't getting married, but personalised gift anyway! 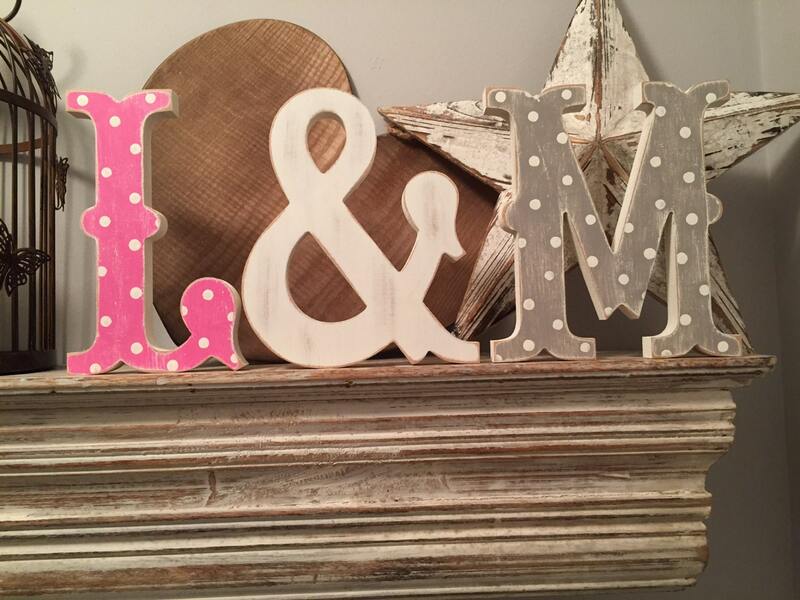 These beautiful letters are free-standing - so perfect for a shelf or window sill. They measure approximately 15cms in height, but are also available in 20cm. 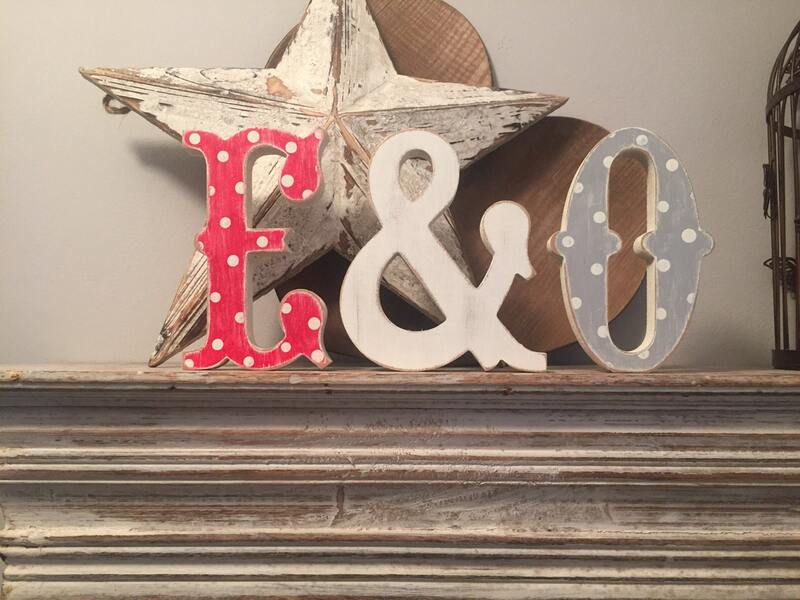 Shown in White distressed finish. Price is for 3 Letters! 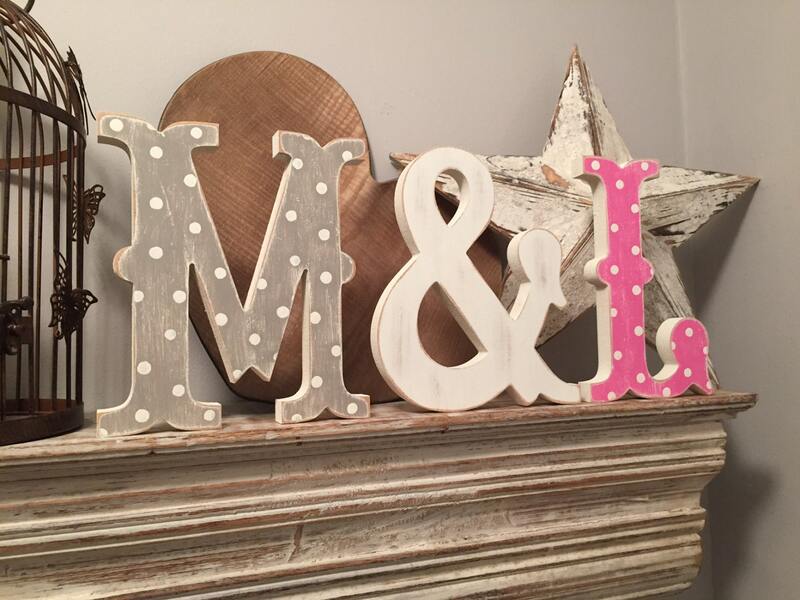 I mostly work with Laura Ashley, Valspar and Farrow & Ball paints, but use others if there is a colour you specifically want! Work with full range - so please just ask!! !